Samar, T, Bellogín Kouki, A, & de Vries, A.P. (2015). 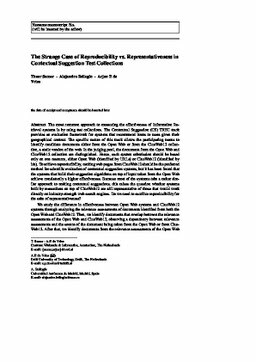 The strange case of reproducibility vs. representativeness in contextual suggestion test collections. Information Retrieval.